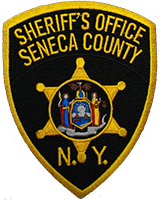 On August 9, 2018, at about 4:10pm, Seneca County Sheriff’s Investigators arrested Hailey A. Lowrey, age 22, of 1666 Burgess Road, Waterloo, New York, on three counts of Criminal Possession of a Controlled Substance in the Seventh Degree, one count of Prostitution, and one count of Aggravated Unlicensed Operation in the Third Degree. The charges stem from an investigation where Lowrey allegedly attempted to meet a subject at a Town of Tyre business for the purpose of prostitution. After Lowrey was taken into custody, Sheriff’s Investigators found her to be in possession of quantities of heroin, morphine, and buprenorphine (commonly known as Suboxone). It is further alleged that Lowrey drove to the business while her driver’s license was suspended. Lowrey was arraigned in the Seneca County Centralized Arraignment Court and remanded to the Seneca County Correctional Facility on $1,500 cash bail/$3,000 secured bond. Lowrey is to reappear in the Tyre Town Court on August 21, 2018 at 5pm.